One of the caveats of Le Club AccorHotels is that there are some brands and hotels that appear on the rate search that are not loyalty program participating. Accor, however, has a exception and exclusions page up for hotels and brands that don’t participate that is very difficult to find. Accor has been scooping up brands like there is no tomorrow. It is easier to integrate them to the booking platform than to the loyalty program while some brands such as Ibis and Ibis Styles are participating worldwide except in China. You can access Accor’s page for exceptions here. Surprised that there are quite a few Rixos hotels that are not participating and three random other hotels. Then there are all these brands that Accor controls or partially owns that are outside of the loyalty program completely. 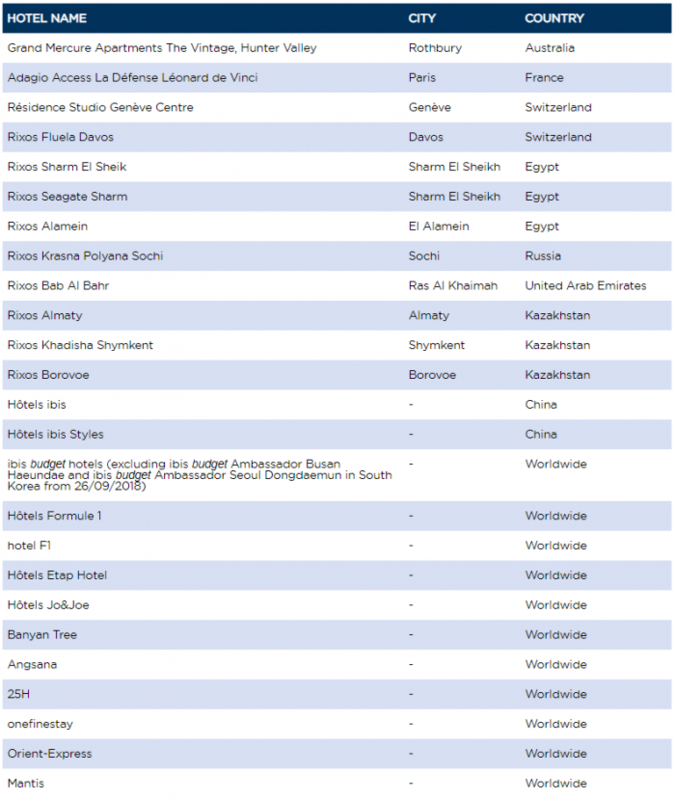 Movenpick is not yet on the list but should be soon, although I would assume that it will become participating in 2020. Not sure what will become of the Banyan Tree and Angsana partnership with Accor? I stayed at one of their properties in Luang Prabang earlier this year that was good (booked on third party platform due to pricing). It is interesting that two Ibis Budget hotels in South Korea are participating while the entire brand is not.